It is no fun to find pests of any shape or size in your home, whether it is a spider scurrying down your draperies or a rodent raiding your kitchen garbage. Worse than simply uninvited company, however, are the sanitation issues these pests can bring along with them, infiltrating your indoor air supply, compromising your food stores and creating questionable drinking water. Add to these the complexities of pest removal in the dead of winter and this makes prevention the hands-down best method of keeping your home and indoor air safe and clean this winter season. 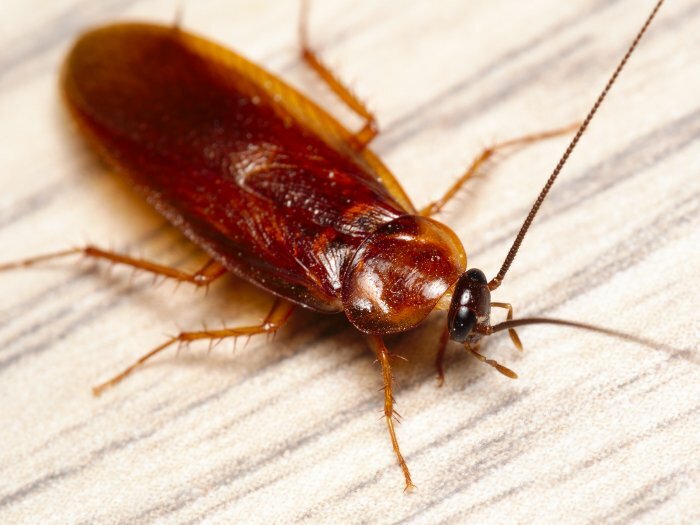 In this article, find timely tips to pest-proof your home before temperatures plunge this year. According to the U.S. Environmental Protection Agency (EPA), the quality of indoor air throughout North America is on a downward plunge. Research reveals that the average person’s indoor air is anywhere from two to five times more polluted than the air we breathe outside. This wouldn’t be quite so concerning if we spent more time outdoors. To hear the Canadian Parks Council tell it, the average Canadian today spends up to 90 percent of every day indoors. The Toronto Sun states that 3 in 10 Canadians spend less than five minutes a day outdoors! These statistics reveal why taking the time to clean up our indoor air supply has become a top priority at any age and stage of life. When most people think about what pollutes the air in our homes and workspaces, we think of volatile organic compounds, asbestos, radon, fossil fuels and similar toxins. Yet as Healthlink Canada reports, biological pollutants are actually the number one cause of indoor air pollution! Biological pollutants are a diverse group ranging from dust mites to pet dander, cockroaches to fungi. Mould, mildew, dust, bacteria, airborne viruses, rodent poop, dead insects and all manner of other undesirables can create conditions ripe for disease, illness and chronic allergy and asthma symptoms. If you look around your home right now, you might see a pretty clean space. This may lull you into a false sense of complacency and even cause you to assume that you don’t have to worry about the impact of pests on your indoor air supply. Unfortunately, unwanted pests know all too well what will happen if they are spotted. Insects and animals tend to naturally seek out small, private, secluded spaces to make their homes during the cold season. And bacteria, fungi and viral matter tend to gravitate toward high-humidity enclosed spaces that are conducive to growth. So it just makes sense that these pests won’t be hiding out in plain sight where you can easily spot and evict them! These types of more humid, warm, enclosed and out-of-the-way areas are perfect for stowaway insects, animals and microorganisms to spend the winter in quiet comfort undetected. The first step is to identify where pests and microorganisms may be hiding out in your home. Since not all areas of your home may be easily accessible, one helpful way to identify hidden issues such as mould and mildew is to schedule an indoor air quality test. This silent 72-hour test takes continuous air readings, analyzes these for pollutants and collates these into a report complete with action recommendations. Scheduling a professional indoor air duct cleaning is a great way to remove trapped and dead insects, microorganisms, viral matter, bacteria, fungi, pet dander, dust mites and other toxins. At the same time, your technician can identify leaks and cracks that may need repairs in the interests of your ongoing pest-proofing efforts. Scheduling a professional dryer vent cleaning at the same time ensures comprehensive removal of trapped dust, lint and dust mites. Cleaning this matter out of the interior traps in your dryer also improves the fire safety of your home. Installing a HEPA (high efficiency particulate air) filter can trap airborne microorganisms and toxins as small as 1/100th of a single human hair. Another popular option is to install an ultraviolet air purification system, which uses ultraviolet band-C to neutralize airborne toxins before they can infiltrate your indoor air supply. Using a HEPA-rated vacuum cleaner can remove particulate matter from carpeting, furniture and floors before it can spread. One of our favourite long-term indoor air quality solutions is a heat recovery ventilator. This appliance not only ensures a steady influx of fresh oxygenated air into your home but also separates stale, toxic outgoing air so it cannot seep back inside. Best of all, a heat recovery ventilator can help balance seasonal humidity and aid in moving indoor pollution outside. Any one of these appliances can be retrofitted to work with any existing central (ducted) HVAC system. If your home uses ductless indoor cooling and heating, there are portable versions that can work equally well to clean your indoor air on a continuous basis. Here at Clean Air Solutions Hamilton, we spend all year helping our clients improve air quality so you can stay healthier! Contact us online or give us a call now at 905-544-2470 to save 10 percent on any one of our popular indoor air duct cleaning packages.